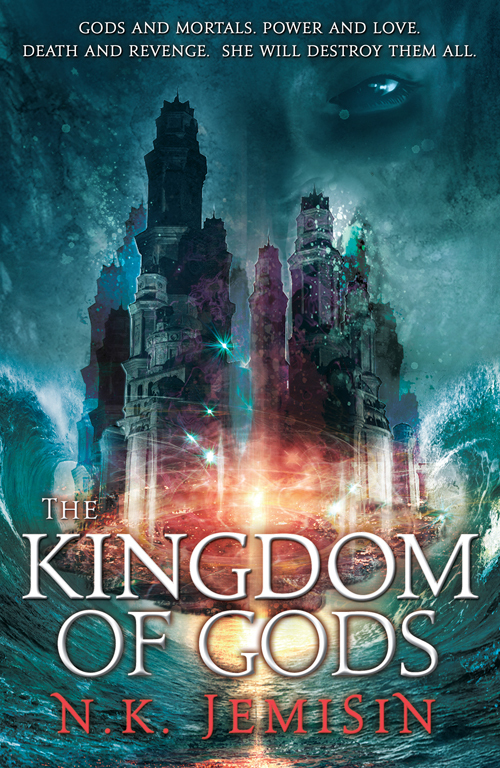 For two thousand years the Arameri family has ruled the world by enslaving the very gods that created mortalkind. Now the gods are free, and the Arameri’s ruthless grip is slipping. Yet they are all that stands between peace and world-spanning, unending war. Shahar, last scion of the family, must choose her loyalties. She yearns to trust Sieh, the godling she loves. Yet her duty as Arameri heir is to uphold the family’s interests, even if that means using and destroying everyone she cares for. As long-suppressed rage and terrible new magics consume the world, the Maelstrom — which even gods fear — is summoned forth. Shahar and Sieh: mortal and god, lovers and enemies. Can they stand together against the chaos that threatens?